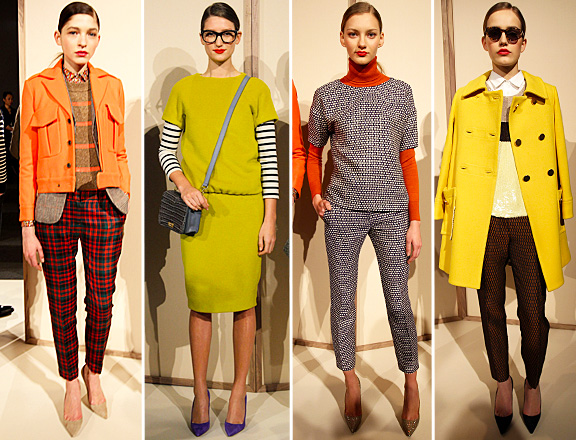 I'm completely obsessed with J.Crew's Fall 2012 line presented at NYFW. The key trend is mixing prints and colors, and no one does it better than J.Crew. Did the same post this morning. Isn't the next collection fantastic?! Can't wait for the fall jewel tones. Beautiful colors in this collection! I really wish that J.Crew would hurry up and introduce shipping to Australia. I want, I want! Thanks, Sara, for liking my Maybebag tote! I like the beige-black outfit - nice combination! I know--I can't stop pinning these!! !